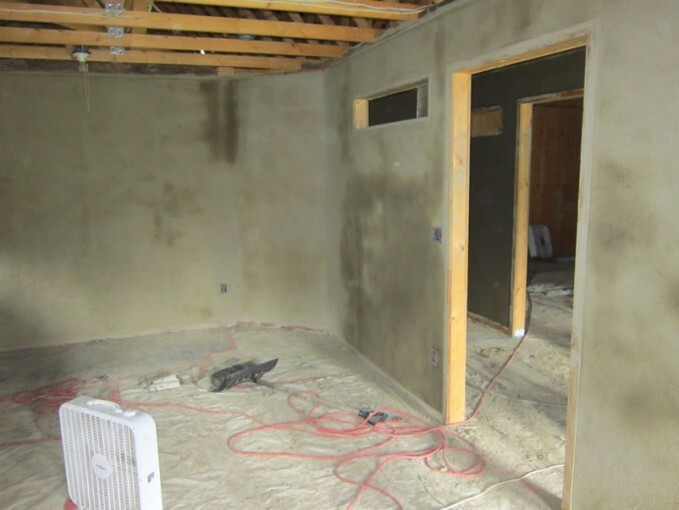 Here is the same project of earthen plaster on woodchip/clay walls. You can see these are interior walls, and the clay plaster is still in the process of drying. Once the walls are dry, an amazing thing about using clay plaster is that it is hygroscopic, meaning it absorbs excess moisture and releases it slowly, providing a more even moisture content in the air.